Jason Hubble is a fully qualified Polygraph Examiner and the owner of Lie Detectors-UK which consist of 4 qualified APA examiners. He qualified in America at APS Fort Myers under the supervision of his mentor Benjamin Blalock. Jason Hubble is a member of American Polygraph Association and the National Polygraph Association and the British Polygraph Association. He is considered by his peers to be a rising star in the field of Lie Detection having performed hundreds of tests both in the UK and Worldwide. His experience in the field of Polygraph and research into better practices within the industry make him the go to man for anyone looking to hire an examiner. Jason Hubble has appeared on many Television shows both in the UK and abroad, the most recent being Liar Liar with Pulse Productions in the UK. He has featured in many newspapers, the most recent being when he tested Martin O’Halleran. Then working with Alfie Deyes and Zoella, the UKs no1 You Tube stars in making a video that has been viewed over seven million times. Recently we also worked with Jamie Stangroom in making a Star Wars documentary and were fortunate to polygraph two of the original Star Troopers who appeared in the original Star wars film. As you can appreciate most of what we do is totally confidential so we are unable to name alot of the famous people we have worked with. Jason Hubble is a twenty-year veteran in the field of forensic IT, having worked for many City law firms throughout his career. This experience has really helped with the field of polygraph allowing him to use this in his polygraph testing. A polygraph test can be a life changing event and choosing a polygraph examiner is a big decision; therefore, you need to ensure the examiner is properly qualified and experienced to conduct a test. Here are some guidelines to consider before making your decision: Ensure the examiner completed their training with an American Polygraph Association accredited school and that they are a current member of the APA. It is a requirement of the APA that practising examiners undertake regular on-going education. Check that the examiner has met the APA minimum requirements regarding continuing education. Jason Hubble attended an Advanced Examiners course in October 2015 at APS Polygraph School, Fort Myers. Furthermore, it is beneficial to look for a polygraph examiner who has professional affiliations and memberships with recognised associations that set professional standards for its members, such as the British and European Polygraph Association– These associations will publish a list of current members on their websites. Check the examiner is using the latest computerised equipment, Jason Hubble uses a Stoelting CPS Pro Polygraph, the latest model available today. Ensure the examiner works within an established business such as Lie Detectors UK, a registered UK company. Ask the examiner how long the process will take. A properly conducted polygraph examination will not take less time than dictated by APA standards. You are paying good money for a test that will be conducted following and observing all the American Polygraph Association standards and guidelines. Jason Hubble holds the vision and firm belief that polygraph can solve many of our National and private problems and is one of polygraphs greatest advocates. In the UK, we now have trained Police Examiners, this was initially part of a trial that is being rolled out UK wide. 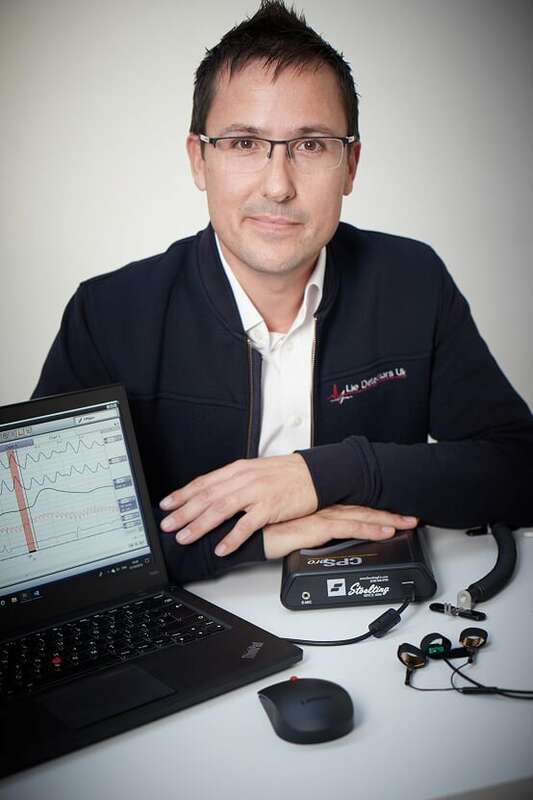 Jason is fortunate to work with the best in the business, and that is what we have here at Lie Detectors UK. When you book a test, as an individual, business or Government you are assured that Jason Hubble who undertakes it, is the very best and at the pinnacle of his career.